Sound unique? It is and delicious! 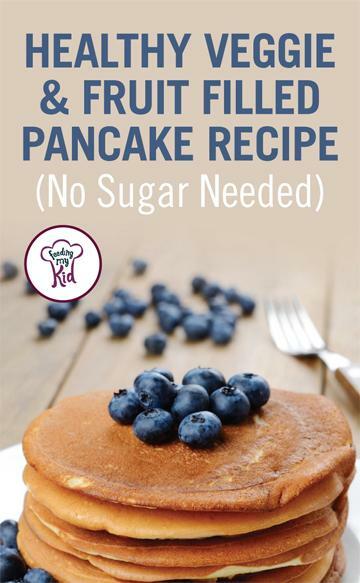 These healthy pancakes will soon become a family favorite! These healthy pancakes have a hearty dose of carrots, bananas, and pineapples. What a great way to start the day with additional essential nutrients and vitamins. This recipe isn’t as easy as a box recipe, but is healthier and more enjoyable to eat! Skip the preservatives and try these pancakes instead. Flax seed contains insoluble and soluble fiber, protein, manganese, magnesium, Vitamin B1, phosphorus, selenium, Vitamin B6, iron, copper, and zinc. 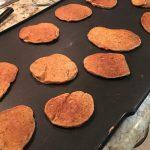 20 Easy and Nutrient Packed Sweet Potato Pancake Recipes from Buttermilk to Vegan to Gluten-Free! 1/4 cup crushed or pureed Pineapple I took pulverized chunks in my food processor. 1/4 cup pecans I put these in the food processor. 3 tbsp olive oil Can be replaced with coconut oil or butter. Take old fashion rolled oats and pulverize in food processor for 20 seconds to turn it into oatmeal flour. Grate carrots or use a food processor. Take some of the juice out by squeezing the carrots. I then added pineapple, banana and pecans to the food processor for a few seconds. No need to clean the machine after the carrots. Mix all of your dry ingredients oat flour, wheat flour, flax seed, baking powder, cinnamon, nutmeg and salt together. I then added pineapple and banana to the food processor for a few seconds. If you cook on a griddle, you won't need butter or oil. You can add some coconut oil, butter or olive oil for your pan so it doesn't stick. Cook on first side until you see bubbles in your batter and then flip the pancakes. If they are hard to flip, wait another minute or so. Next articleHealthy and Delicious Pumpkin Bread Perfect For Fall!